January 25, Тransparency International has released its annual Corruption Perceptions Index, (CPI). Ukraine scored 29 points out of 100 possible, which is an improvement of two points compared to last year, but is not an indication of a major breakthrough in the fight against corruption. 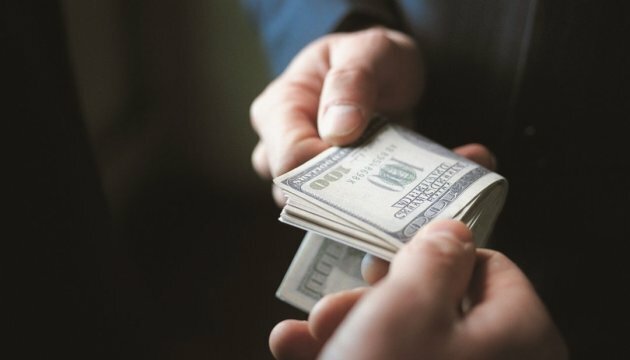 It is noted that Ukraine is ranked 131 out of 176 countries in the World Ranking of Corruption Perception. "Despite the reforms, ordinary citizens and Ukrainian business, international observers are now skeptical about the success of the fight against corruption in Ukraine," expert at Transparency International Ukraine, Oleksandr Kalytenko said in a commentary to DW. His colleague, Yaroslav Yurchyshyn, Executive Director of Transparency International Ukraine, added that the impunity issues and inefficient justice system prevented Ukraine from making a break-through. "The absence of the results on asset recovery of the Yanukovych regime and his allies is vivid evidence for that. Without the complete cleansing of the justice system, we will not be able to break the impunity circle and move up to a qualitatively new level. CPI improvement is impossible without a transparent and fair judicial system that will be reliable for investors and business," he said. Based on a number of international studies, ICP experts still noted some positive changes in Ukraine, particularly, reduced abuse of office in the government, the police, and the armed forces and greater accountability of public procurement. However the judicial branch, as noted in TI, remained at the level of Yanukovych regime. Тransparency International Ukraine has come forward with a number of proposals to implement serious anti-corruption changes. Inter alia, they propose to establish an efficient anti-corruption justice system engaging foreign specialists as active participants of selection of judges for these courts; to activate all the possibilities for efficient investigation and bringing to court the cases of figurants from the “sanction list of Yanukovych”; to actively engage business both Ukrainian and international to establish new, transparent interrelation rules in the triangle “society-power-business”; to conduct an audit and lower the degree of safety in the defense and security sector; to establish systemic communication as to the anti-corruption reform with the society and international partners and to strictly fulfill international obligations. Corruption Perceptions Index is based on independent surveys, where international financial and human rights experts, including the World Bank, the Freedom House, the World Economic Forum, the Asian and African Banks etc. take part. The index is a rating from 0 (perceived to be highly corrupt) to 100 (perceived to be very clean). In 2015, Ukraine scored 27 points and shared 130th position in the ranking with Paraguay, Nicaragua and Cameroon.